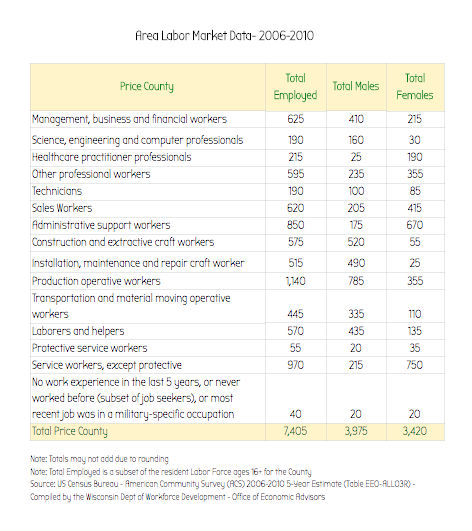 According to the Department of Workforce Development, “there is much discussion of the skills gap’ – the inability of employers to find and keep skilled workers.” In fact, while some businesses discuss their wish to expand, they struggle to find and retain skilled workers. 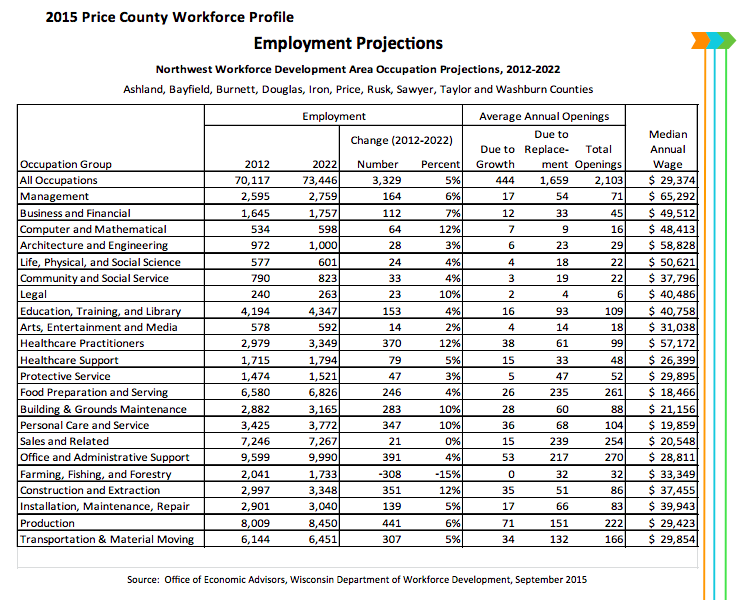 The 2015 Price County Workforce Profile Employment Projections for the Northwest Area for 2012-2022 (see chart) shows overall job growth of 2,103 total openings, with 1,659 of those due to replacements, during that 10-year period. Particular fields such as Education, Training, and Library; Production/Manufacturing; Food Preparation & Service; Personal Care; Office Administration Support; and Transportation/Material Management are projected to have the most available openings in our area. This leaves plenty of room for Chequamegon School District students to seek employment in our area communities.